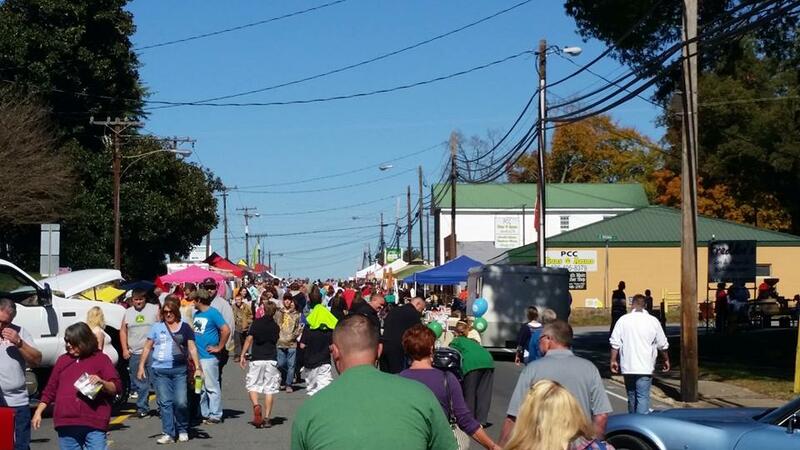 Thousands will converge on Randleman, NC for the Annual NASCAR Day Festival on Saturday October 12, 2019 from 9am to 6 pm in downtown. The festival pays homage to its racing heritage with the First Family of NASCAR – The Petty’s. 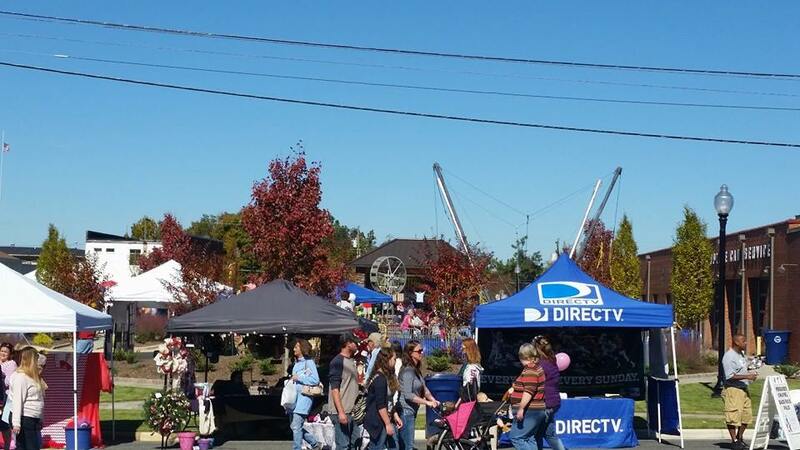 Main Street and the new Commerce Square will be filled with anything you could desire from delicious food including BBQ, handmade crafts, home products, racing memorabilia, cars, kids rides, simulators and three stages of entertainment. New this year is a wide screen simulator to feed your competitive edge. See who is top dog for the day and earn bragging rights. Autograph sessions will vary with most being in the afternoon. NASCAR Hall of Famer Richard Petty will sign from 4 to 5:30 pm. The main stage in Commerce Square will feature live bands to be announced at a later date. Live music on the Randco Stage along with a variety of cloggers, dancers and the Little Ms & Mr NASCAR Day Pageant. The annual collectable postal cancellation will be featured with the theme to celebrate the 30th anniversary of the NASCAR Day Festival. NEW this year will be a mobile app featuring a map and information on the festival. The NASCAR Day Festival is one of a select few festivals in North Carolina to use this technology. It can be accessed by texting code “nascar” to 313131. Updated information or details may be available closer to the festival date. 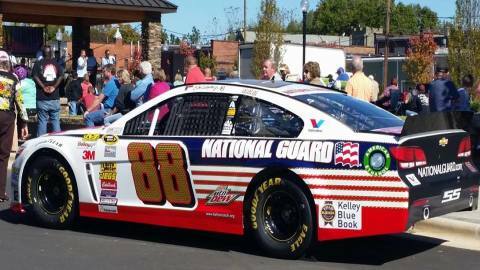 October 12 brings the Annual NASCAR DAY Festival to town. For over 30 years thousands have enjoyed the fun and festivities.The festival welcomes award winning bands to the Main Stage at Commerce Square at 1 pm. Two other stages will feature some of the finest in Gospel music and the variety stage of dance, soloist and the Little Mr & Miss NASCAR Day Pageant. Ride the mechanical bull, bungee or bounce – there are activities for all. Shop some of the finest artisans from the Southeast who bring their handcrafts to the festival – items like custom rods, designer knives, crafted furniture, custom jewelry, quilts, clothing, accessories and much, mush more. Food, food, food including BBQ, turkey legs, chicken, burgers, shrimp, Philly’s, funnel cakes, cotton candy, flavored teas, coffee and everyone screams for ice cream ! 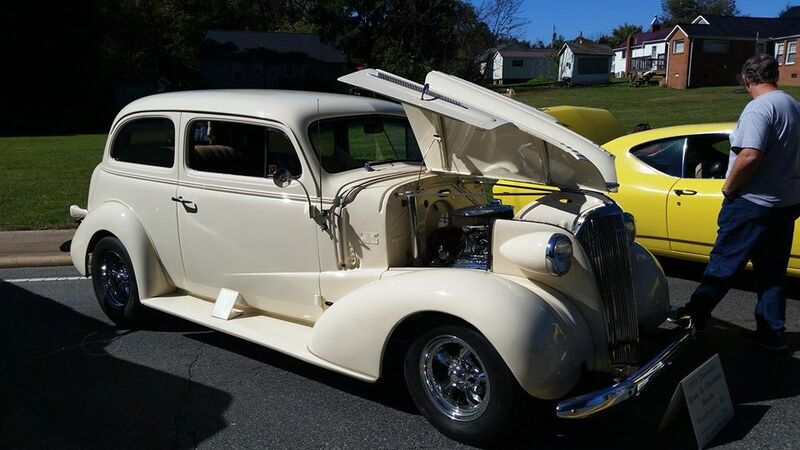 Race cars, drag cars, classic cars and hot rods to satisfy your need for speed. 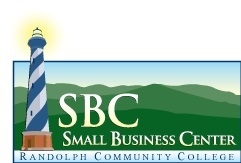 Festival hours 9 to 6 pm Saturday October 12, 2019. 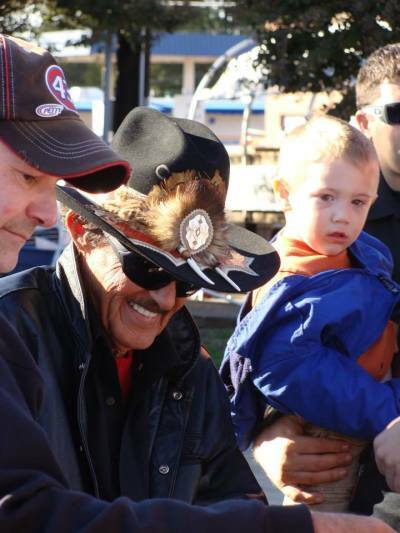 NASCAR Hall of Famer Richard Petty and will sign autographs from 4 to 5:30 pm at the festival. See you there !!!! !